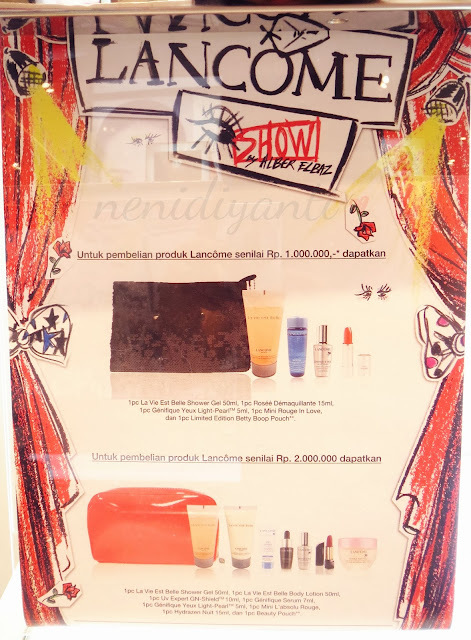 Lancôme Indonesia has launched their newest products, Lancôme feat Alber Elbaz Collection ; including eyeshadow palette, single eyeshadow palette and also mascara. They divided into three categories, Doll - Star - Drama. 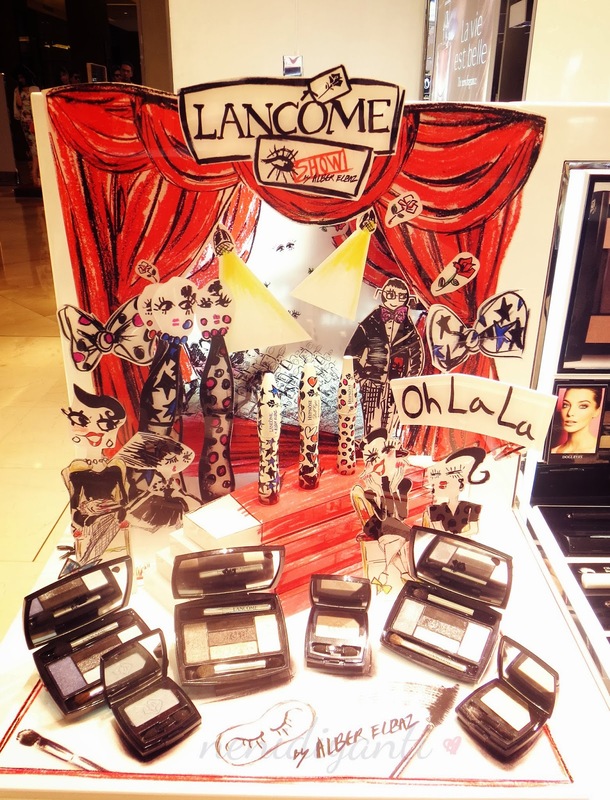 And to celebrate the Alber Elbaz's Collection launching, besides held a launching event, Lancôme also held a blogger contest. 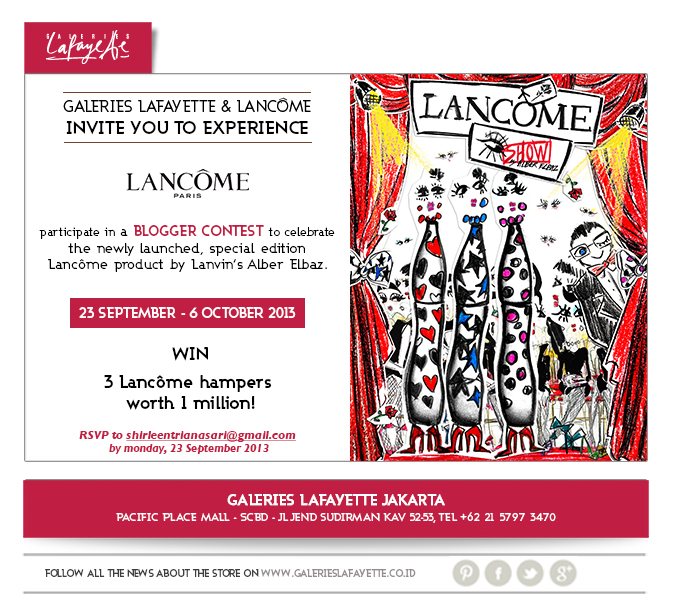 This time, Lancôme collaborate with Galeries Lafayette (Plaza Indonesia) to hold this event. The contest itself is easy. I just need to come to Galeries Lafayette at Plaza Indonesia and doing makeup on my face with Lancôme Alber Elbaz's Collection. It sound interesting, right? 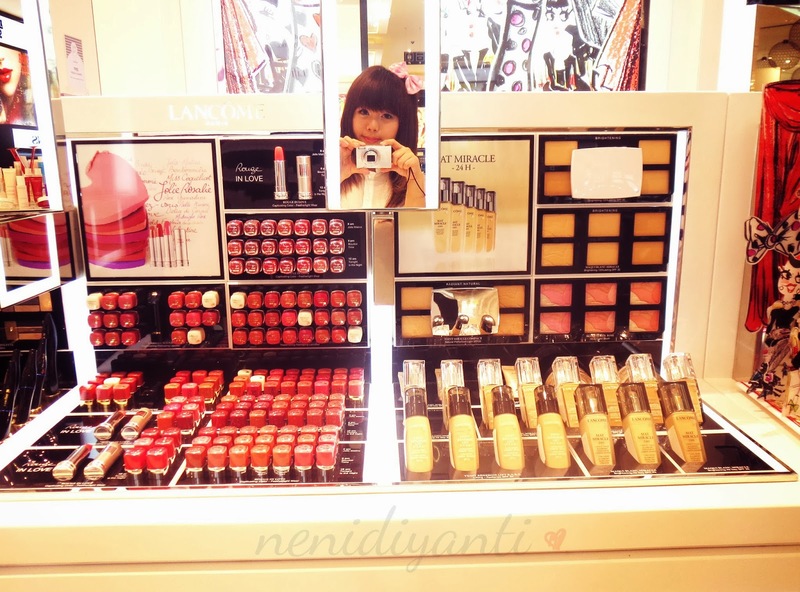 Because ofc I could try many Lancôme products at Galeries Lafayette (for free A_A). 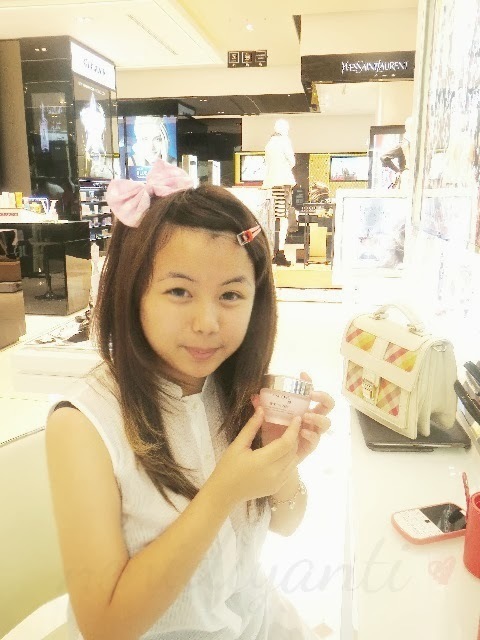 And to be honest, trying the products just make me want to buy them HAHA. This moisturising cream is different from others. 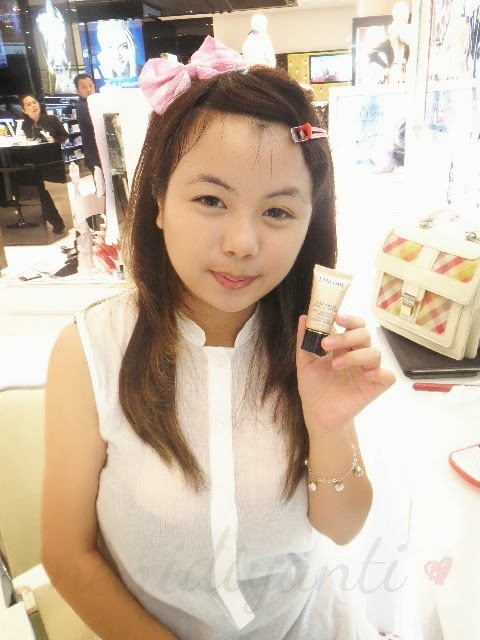 Its texture is kinda like gel, quickly absorbed by the skin and leave a moist yet cooling effect on my face. This product fits perfectly with my dry skin condition. 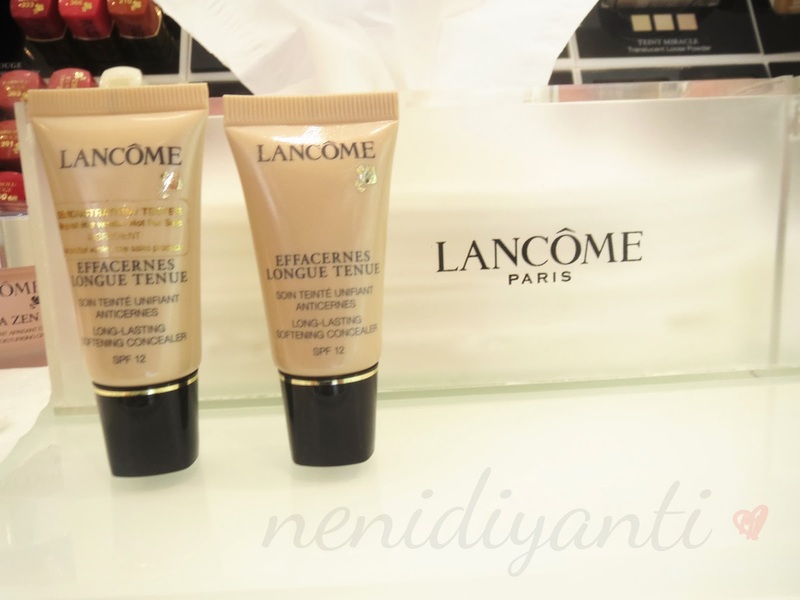 This is the latest foundation from Lancôme which often said has great oil control. But, I can't say more since this is my first time trying this product and I have dry skin condition (which is no need foundation with great oil control). As the first time using this foundation, it's so light weight. I even don't feel wearing foundation on my face and yes, it gives a matte finish. 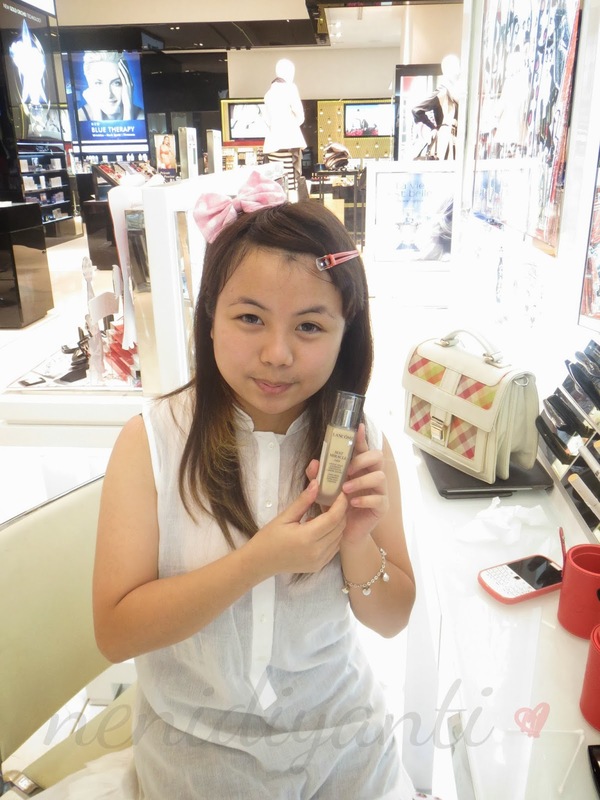 I was confused about picking the right shade, but I ended up with using 01 because I have suppa dark eye circle. This concealer was good to cover it up. 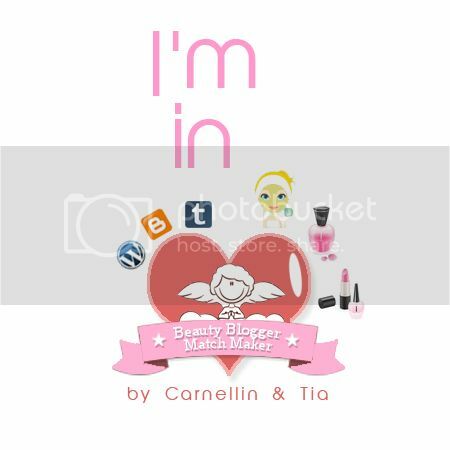 After that, I set the makeup with loose powder and complete it with pink blush on my cheek (sorry, I forgot to take a photo of it hehe). And then I was ready to doing eye makeup. At the beginning, I asked for a Doll Palette (D01) or ST03 since I love all of the shades, but the BA told me that I have to use the palette on Alber Elbaz's display. So, I picked Drama Palette (DR02) instead. And I also brought the single eyeshadow in soft pink shade. Honestly, I thought the Drama Palette that I picked was a Doll Palette series since it has pink shade, but recently I find out that it was Drama Palette HAHAHA. And the single eyeshadow palette that I used is also from Drama category HAHA (recently notice it after looking up on the brochure). What coincidence! What's good about this mascara? Well, you can use this mascara without curling your eyelashes before. It can curl up and lengthening your lashes instantly. Use the mascara with zig zag direction from the root to the tip of your lashes. 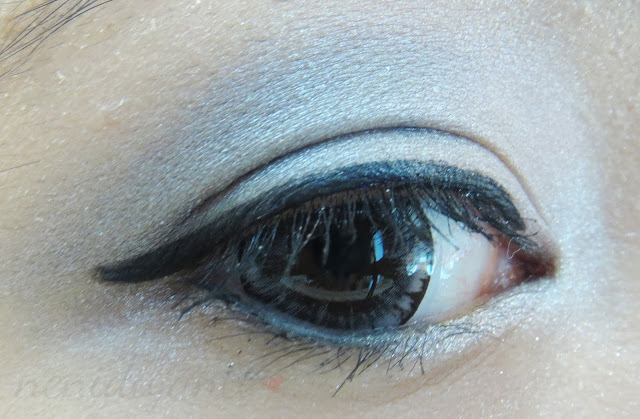 This is the final look of my eye makeup. Somehow it looks like all grey, but in fact there's some pink on my inner corner. Last, I use a pink lipstick and also lipgloss from Gloss In Love collection. 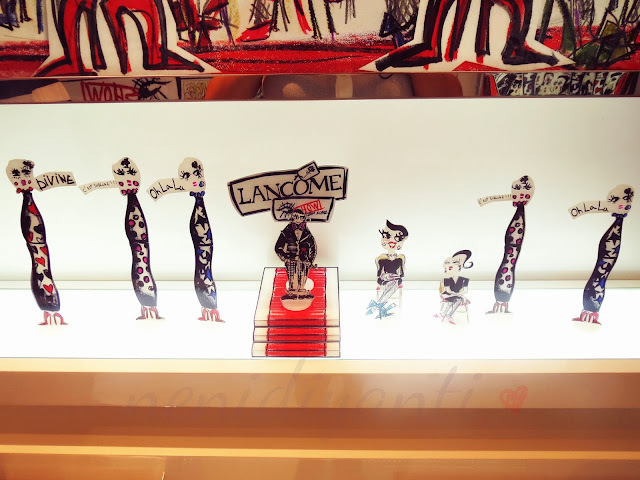 And to being eligible to enter the contest, I must take photos with Alber Elbaz background at the counter. Unfortunately, the BA told me that the background was already removed. So, I took a photo in front of Alber Elbaz display with holding some Alber Elbaz figurins. I managed to take a photo with the BA before I left. He was so nice and helpful. I have one more special offer for you, my dearest readers. “With any purchase of Lancome at Galeries Lafayette until October 31st 2013, please mention GLELBAZ01 and print out this page to receive a special gift of travel set worth up to IDR 300.000. While stock last." iyaa BA nya baiiik banget ya neni..aku juga kesana gratak-grutukiin tapi dia sabar banget ngerapihinnya *tak terampuni* hehehe..btw cute bangeeet ih aku gemesss!! you look so cute! i hope ud win, i like your eyes, looks like a doll really. the eyeshadow though did not show the pink all too well but the gray-bluish shade matches your lenses' color. nice one! 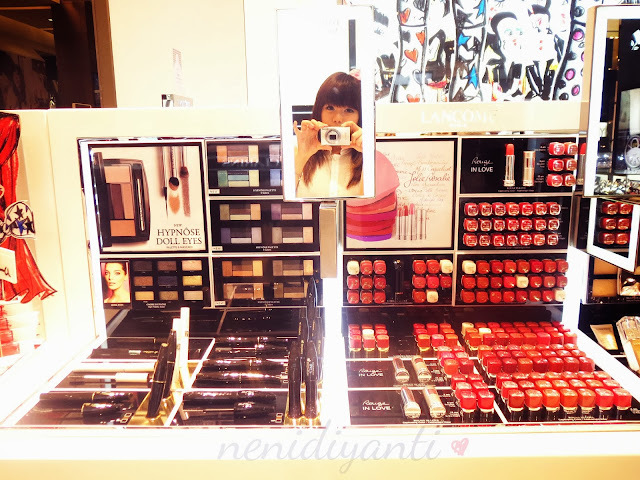 id try lancome as well:) and oh, i agree with u, sometimes packaging is everything.hihi. I love the new packaging, so catchy. I also love their hydra zen moisturizer. 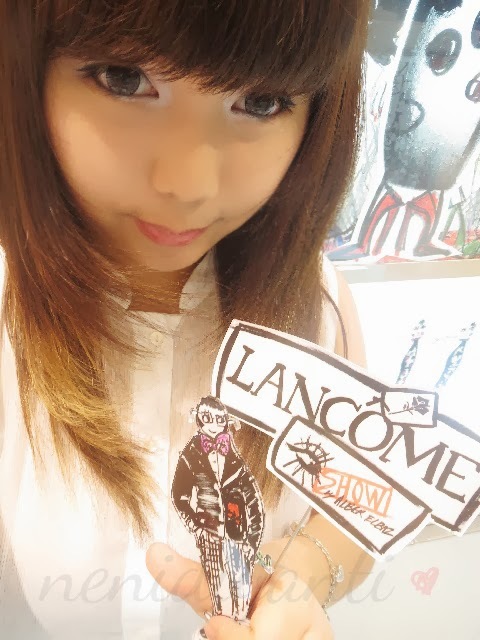 I haven't tried any product from Lancome yet. Anyway, I love the look that you created. you are so adorable! Love the look you created. Those products are amazing! 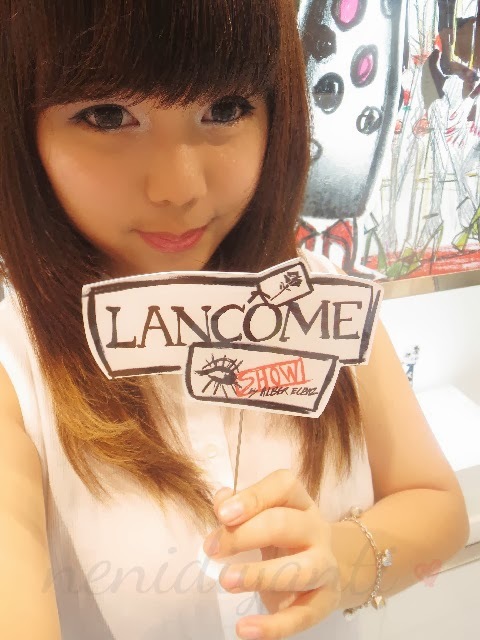 I love Lancome's products. They always please - their concealer/blushes are an absolute favorite for me though! 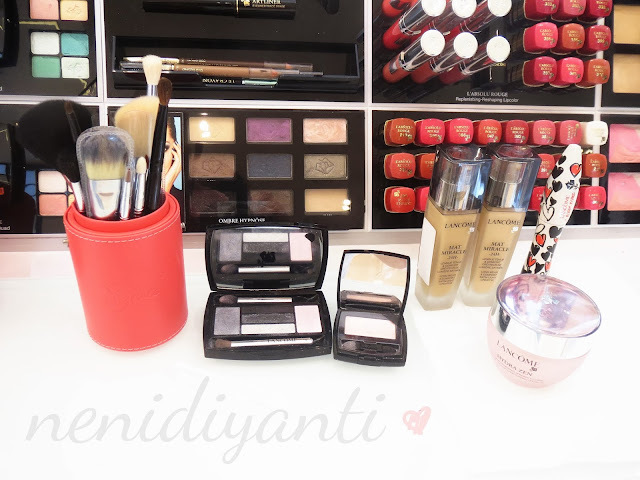 I still have yet to try Lancome products, but from what you have shared, I really need to do so. The eye makeup looks so beautiful on you! Isn't that weird? They took down the background before the contest period is over? Anyways, the best of luck to you dearie! wow! what a great event..i loveee lancome products! Aww, you look so cute! Love the packaging on this one. love what you had created! the collection screams Elbaz! the resemblance of this collection and what he brings to Lanvin is uncanny! I did try a few at the counter and now I could definitely purchase their mascara! So pretty! Good luck on ur coming contest! very interesting and great shots. 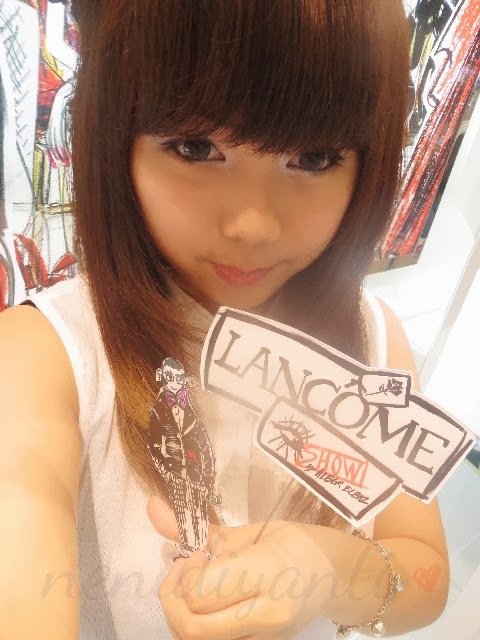 I love Lancôme products because of the lasting power (Mascara, eyeshadow). I love the packaging of this collection, so colourful and playful. Love the look you came up with. Very pretty!